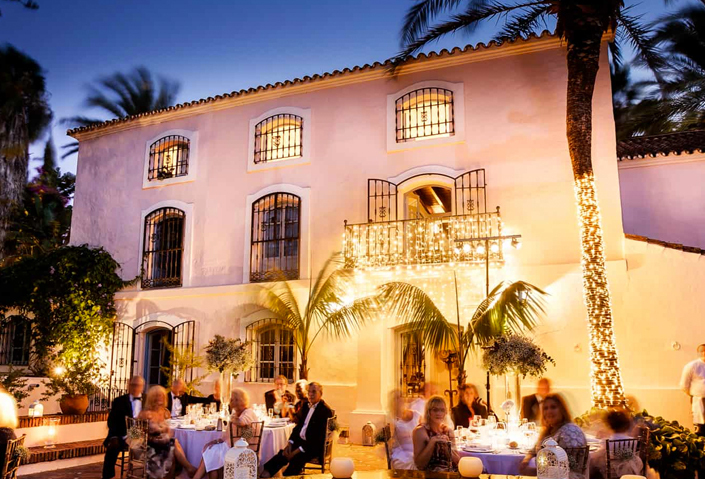 There’s a very good reason why the sunny south of Spain, specifically the Costa del Sol, is one of the most popular locations for destination weddings in Europe. 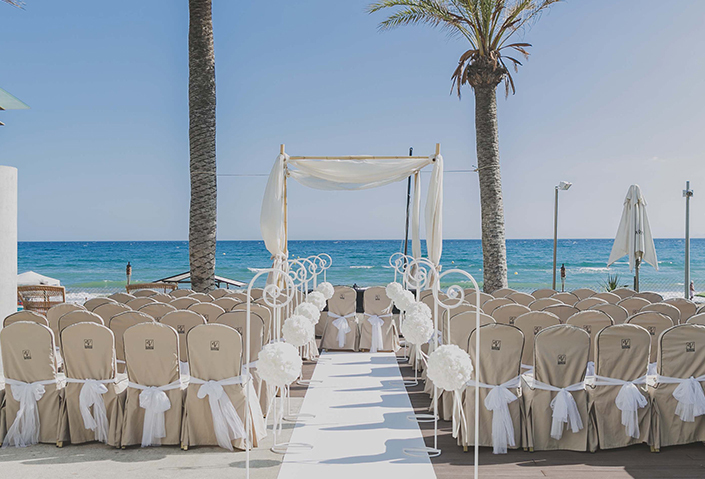 Breathtaking beaches, over 325 dry days a year and a vast array of stunning venues to choose from, means that any wedding in the Malaga, Marbella or Nerja region is guaranteed to wow your guests. 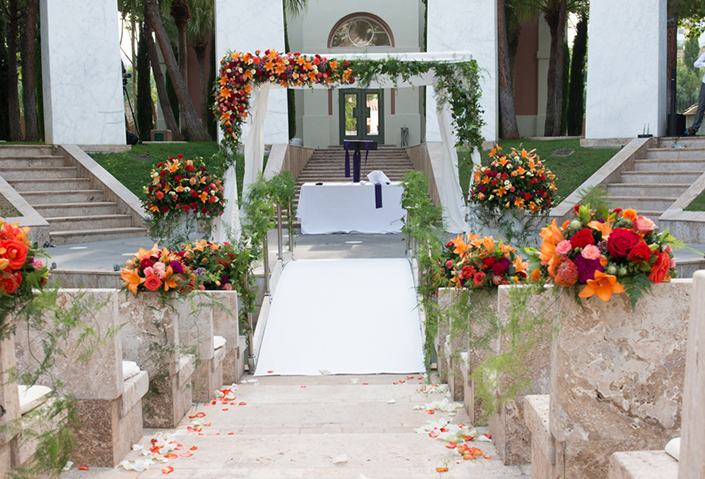 What kind of venues can I expect to find? 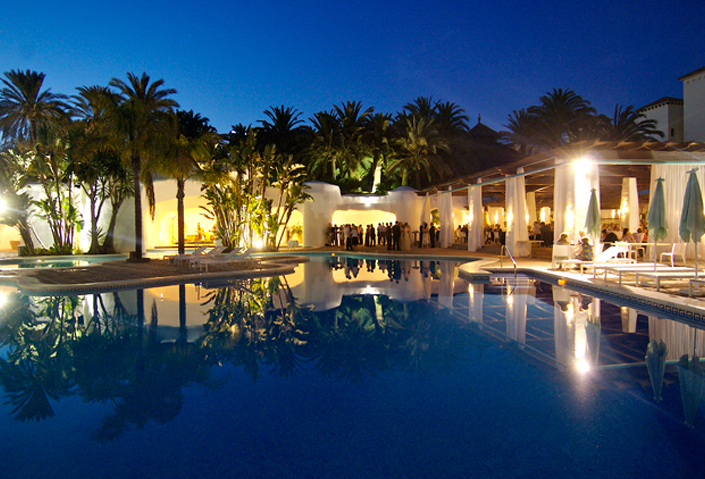 Sunshine Weddings Spain is famous for offering one of the largest selections of wedding venues in the south of Spain. 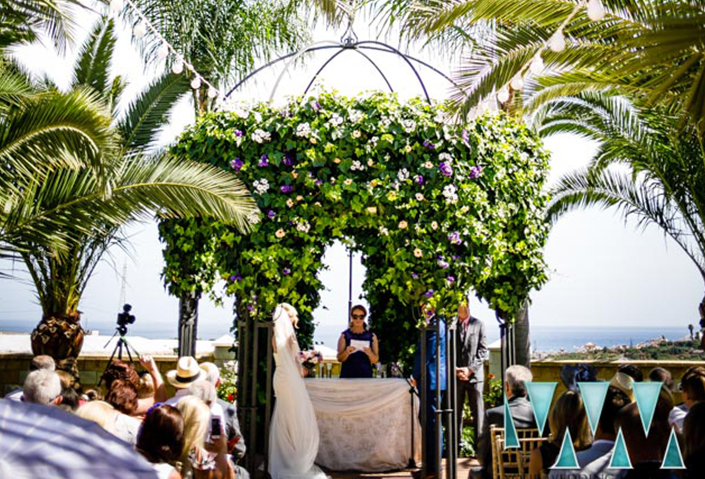 When people think of marrying on the Costa del Sol, they instantly think of beach-side weddings or large hotels – but actually, Andalucia is the one of the most picturesque regions in the country. 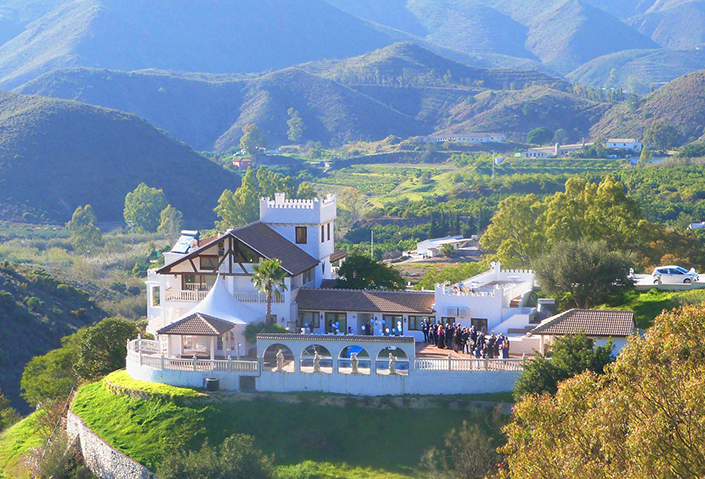 Stretching along the coast from Nerja to Sotogrande, and inland including pueblos blancos (white villages) such as Mijas, Ronda and Casares, there’s a lot more to the region than standard hotels and villas. 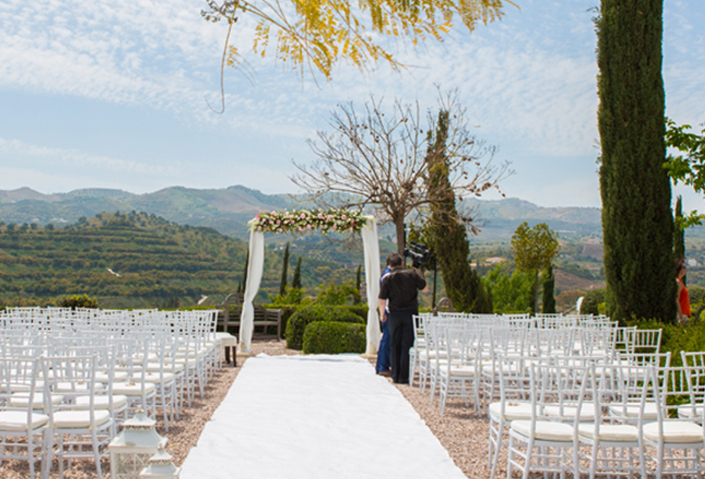 Picture your guests driving through Spanish campo filled with the scent of olive groves, lemon trees and vineyards as they make their way to your wedding. 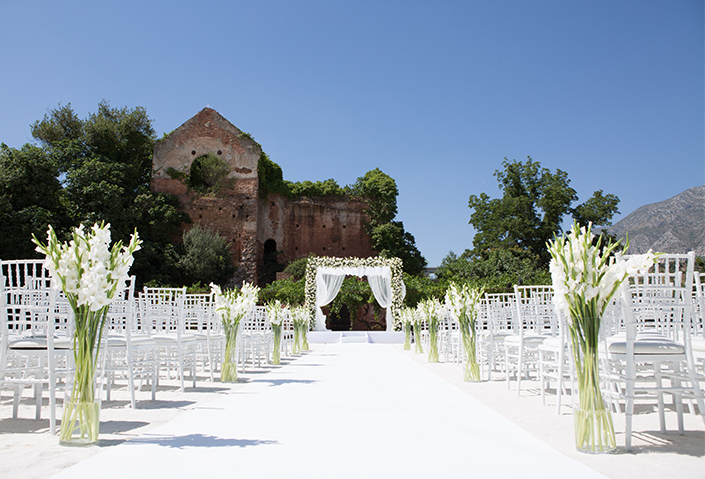 Imagine approaching your venue along a long drive studded with swaying palms in bright relief against a cobalt blue sky. 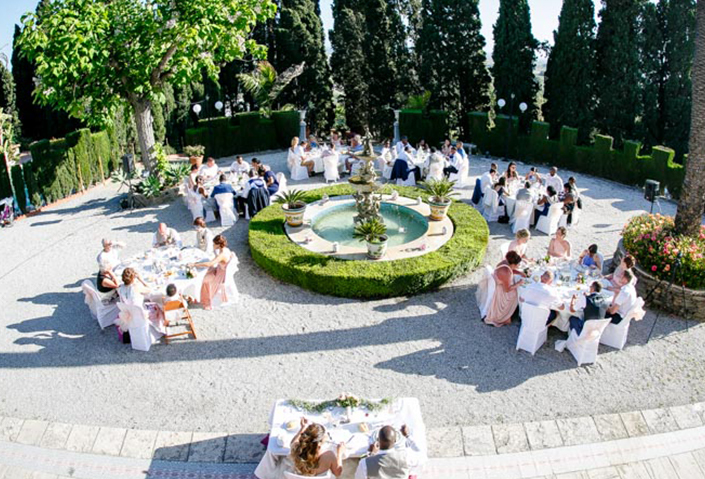 With Sunshine Weddings Spain your wedding venue could be a traditional quaint farmhouse in the heart of the countryside or an old fortress looking out over a stunning vista. 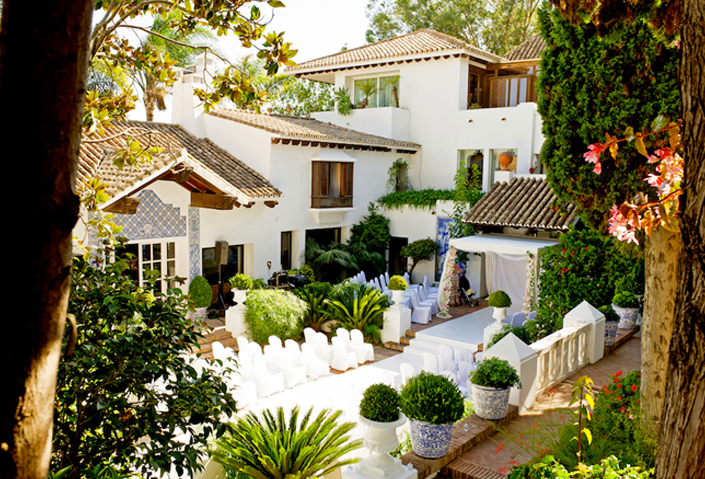 Perhaps you’d prefer a converted monastery or mountain-top finca for your Spanish wedding day? 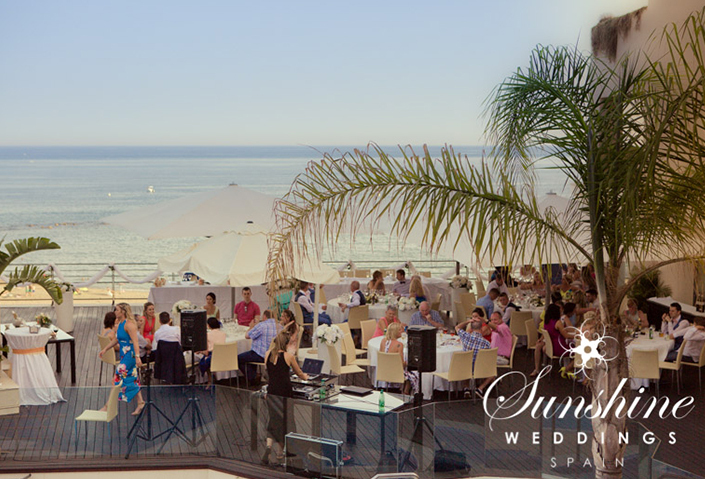 Or why not say ‘I do’ at a Costa del Sol beach-side resort, luxury five star hotel, majestic villa or even on the roof of a Spanish castle! 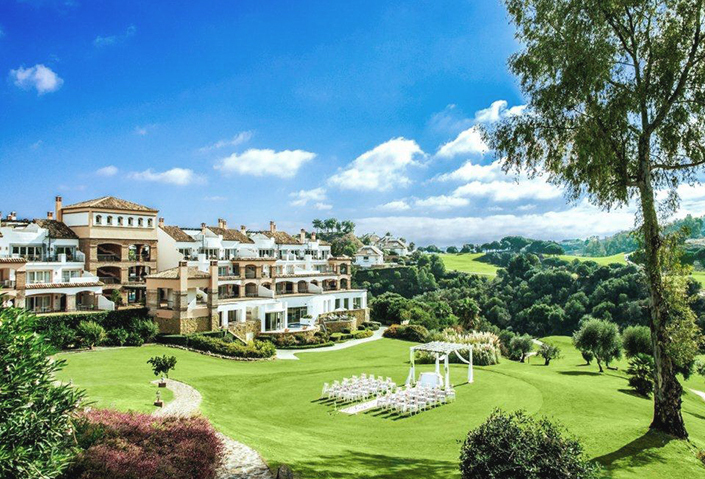 All these wedding venues (and more) are available on the Costa del Sol. 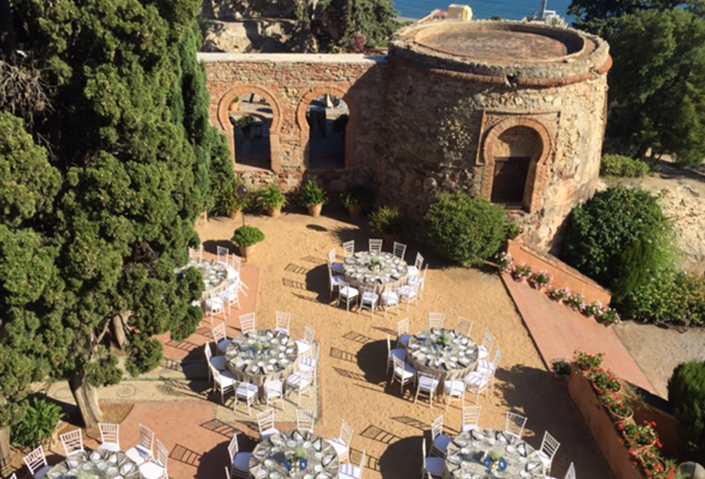 Whether you’re looking for rustic Spanish charm, or cutting edge modernity, the south of Spain has a wedding backdrop to suit every taste, style, budget and wedding size. 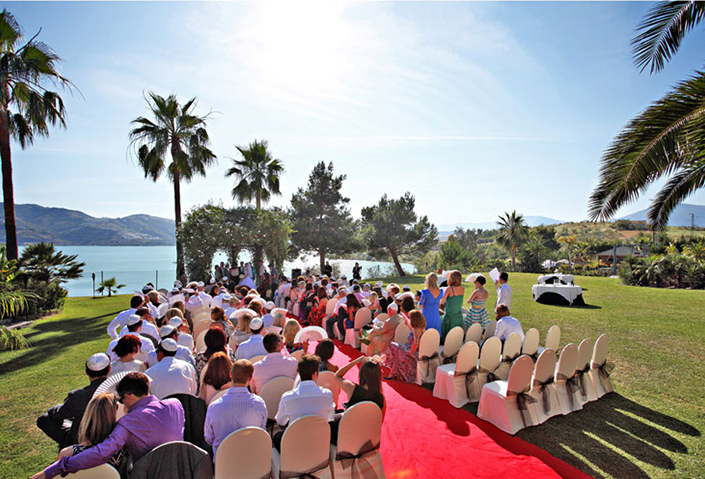 When is the best time to marry in the south of Spain? 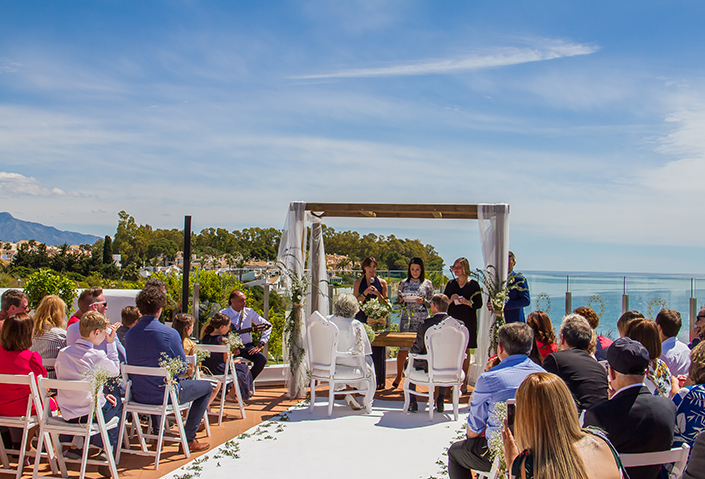 One of the best things about marrying in Andalucia, specifically the Costa del Sol, is that you are guaranteed at over three-hundred days of sunshine a year. 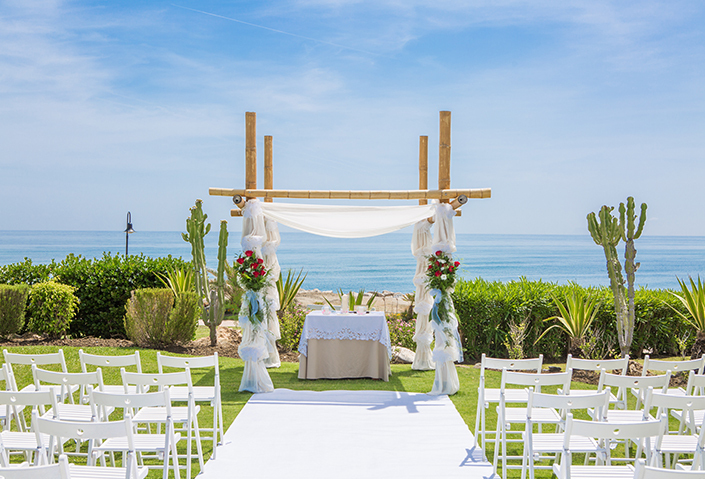 This means that, unlike weddings in other parts of the world, your plans for your special day are rarely determined by the weather. 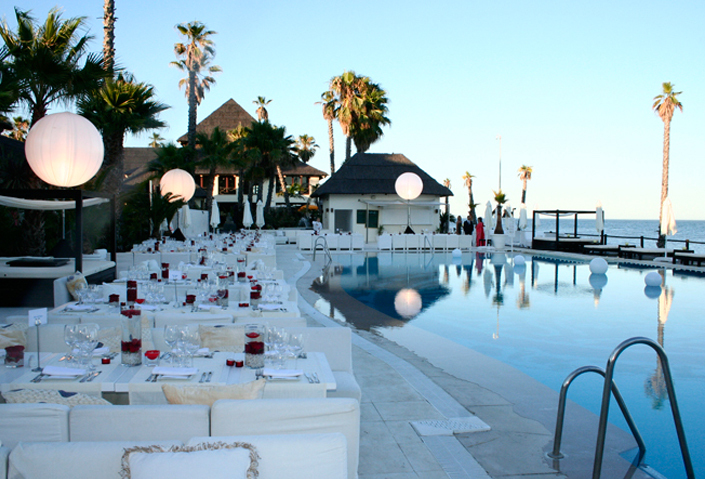 Our wedding season spans from early April, right through to late October. 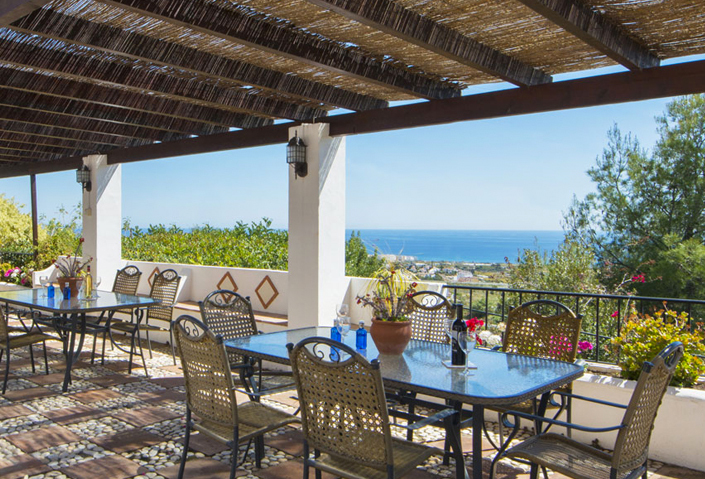 Easter can see temperatures in the early 20’s and even at the start of winter you can still expect clear blue skies and sunshine (although the evenings may require a light jacket). 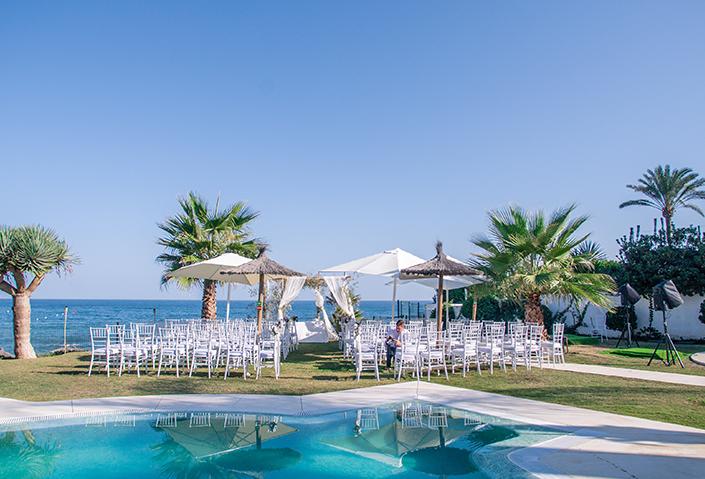 In fact many of our wedding couples choose to marry outside of the vacation periods because it means that their guests will have a bigger choice of accommodation around Malaga and Marbella at the lowest of prices. 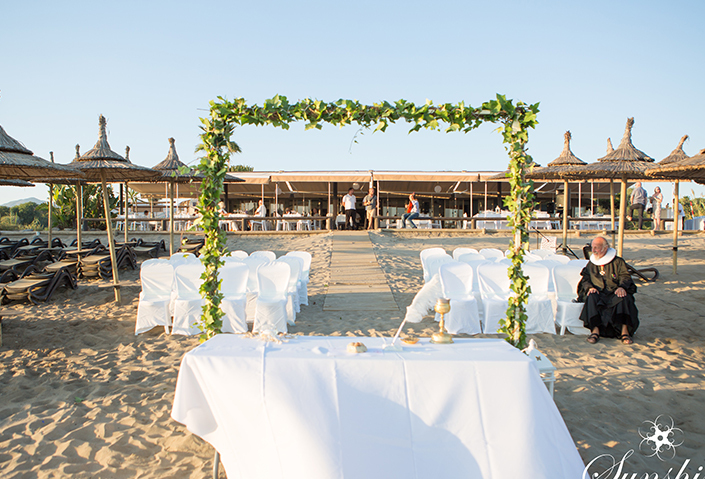 Plus marrying in the spring and autumn also means that the sun is not so hot and the beaches not so busy! 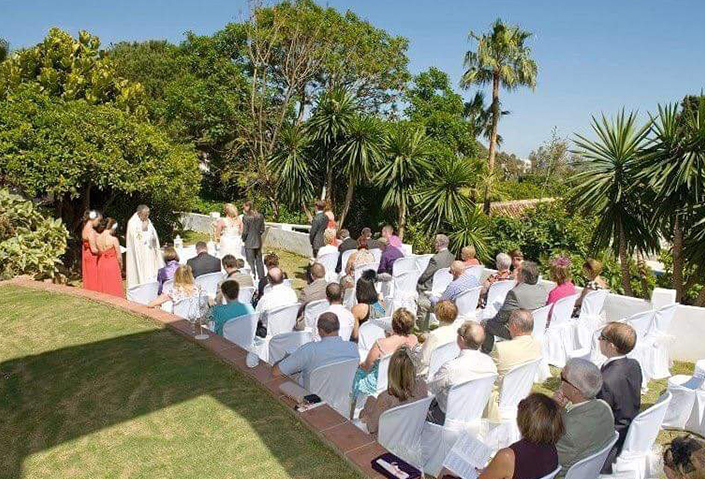 Is getting married in Spain good value? 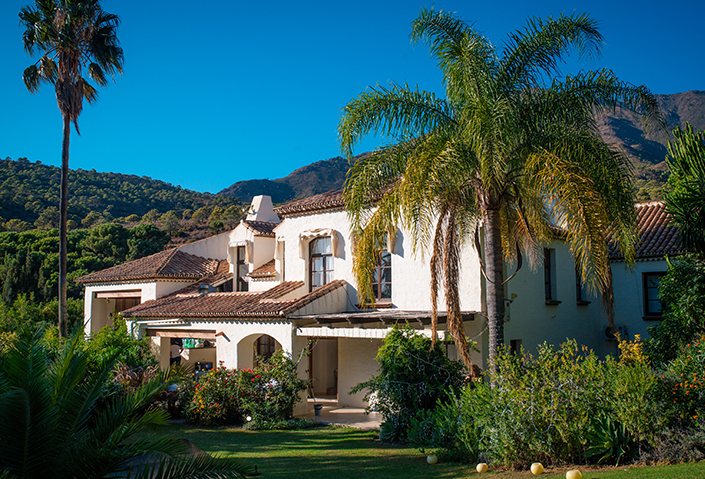 In one word – yes. 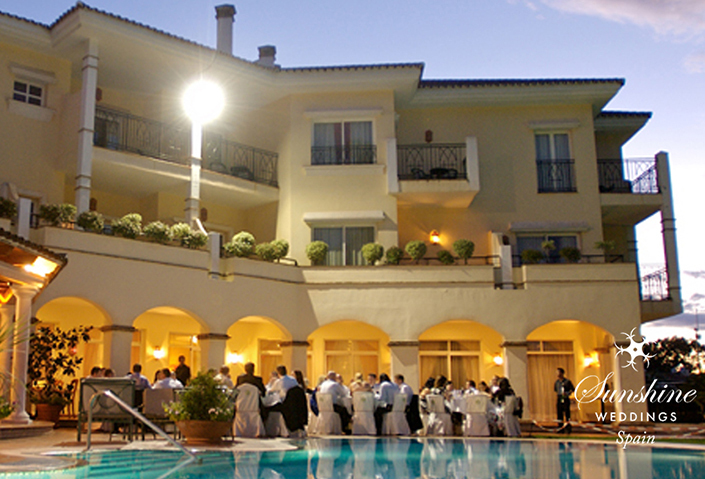 Compared to other European destinations, you get a lot more wedding for your Euro. 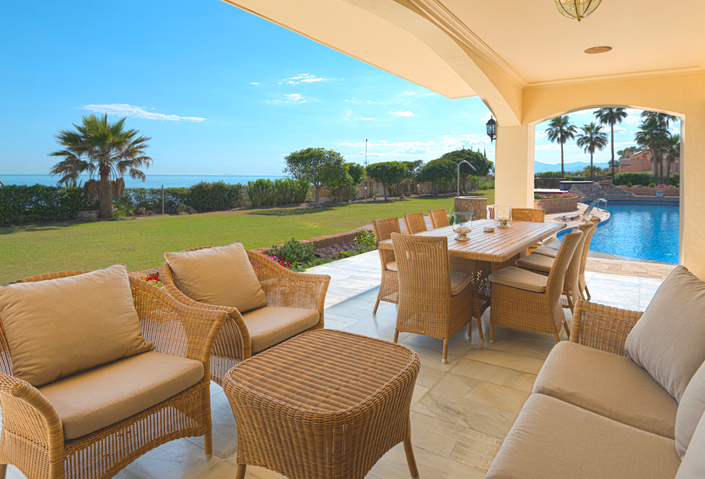 In fact, the Costa del Sol still remains 20-25% cheaper than other parts of mainland Spain and the Balearic islands. 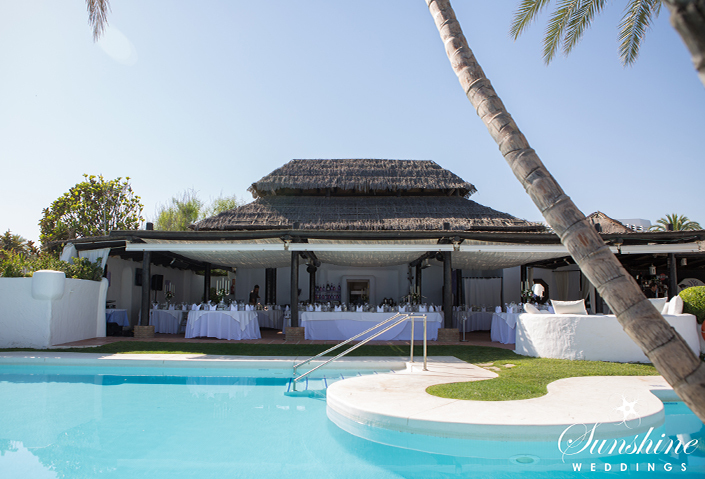 With everything from locally sourced food and drink, to top entertainment and venues, we offer the most competitive prices coupled with the highest of quality. 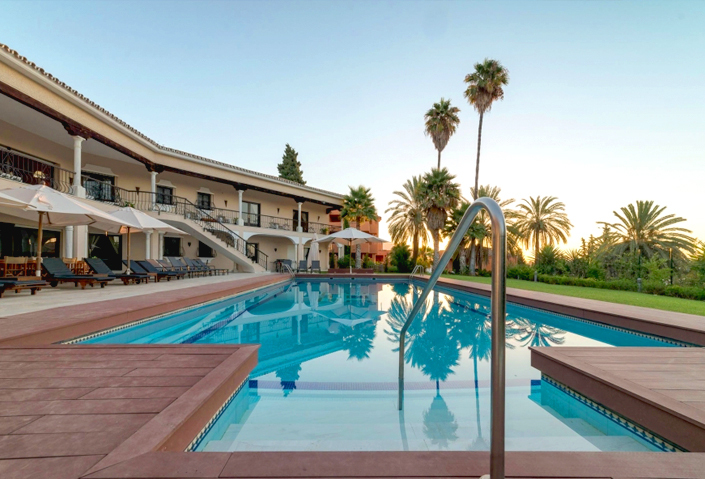 Added to that the huge choice of affordable and regular flights into both Gibraltar and Malaga airports, along with a vast array of accommodation options in Malaga, Marbella and across the Costa del Sol, your guests won’t be out of pocket either. 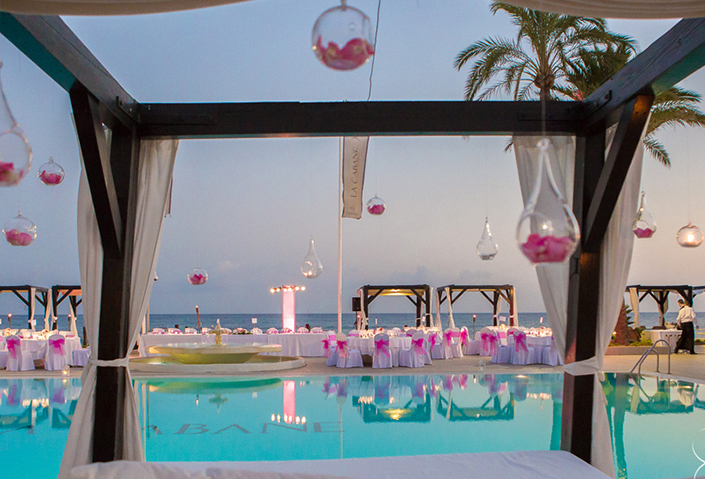 Most importantly, we don’t ask for a penny until a week before your big day. 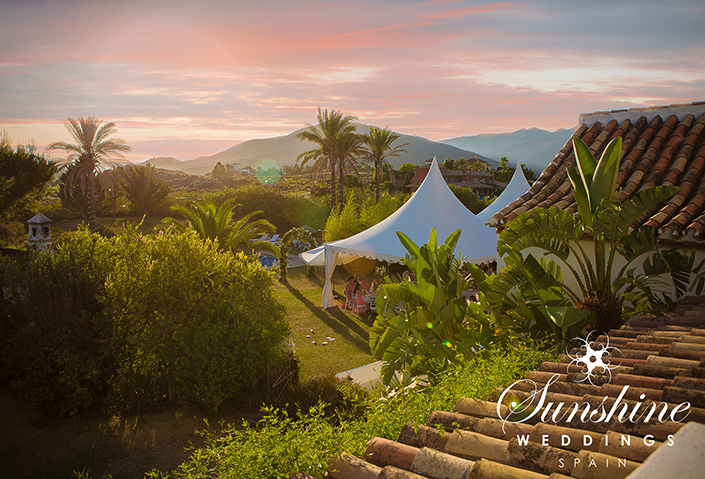 We want you to focus on the fun and excitement of planning your wedding in the south of Spain – without having to worry about down payments or deposits. 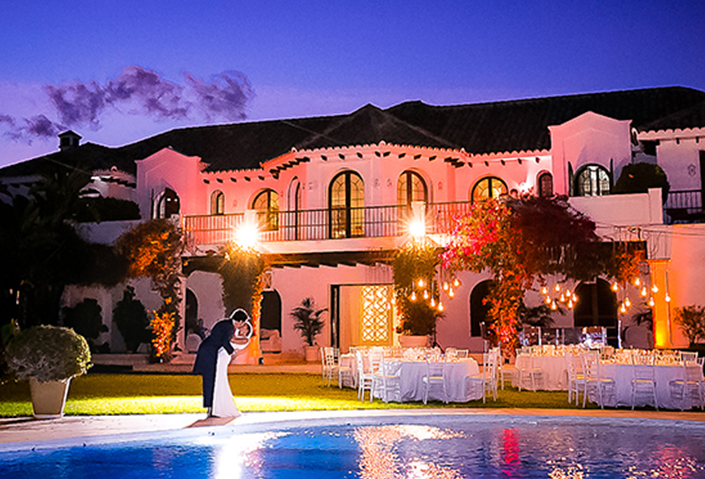 The south of Spain has everything you need to guarantee a perfect destination wedding. 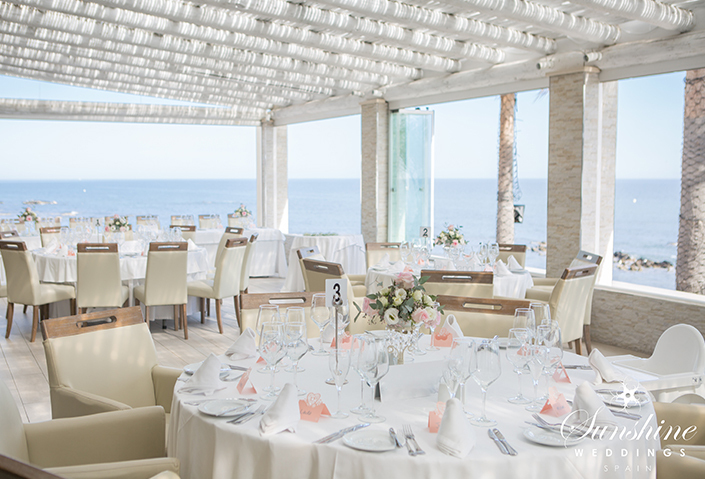 From sunny skies and stunning locations, to great value and the best in food and entertainment – the Costa del Sol has so much to offer, your guests will be talking about your wedding for years to come. It’s hard to know where to begin to thank this amazing bunch of people. 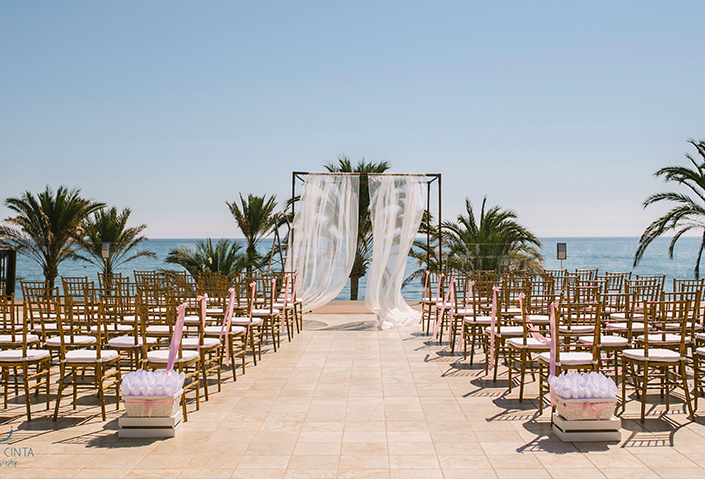 It all began with a dream of wanting to get married on a beach in Spain, and that dream was made a reality by Scott, Pam and the team. 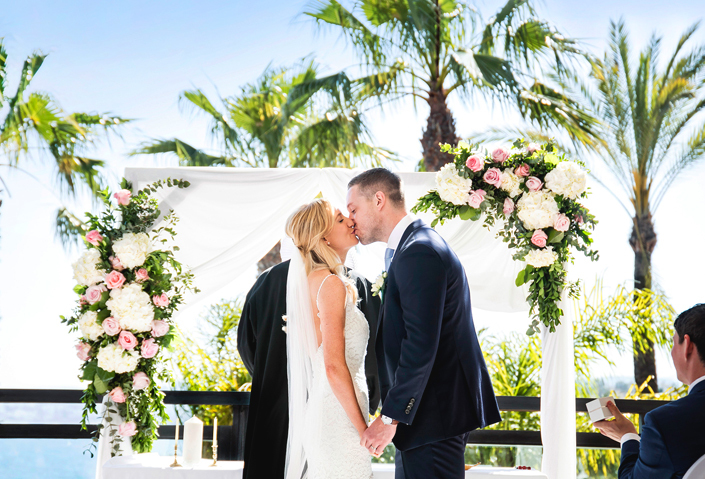 I couldn’t have asked for better people to organise one of the best days of our lives. They were so professional in everything they did. 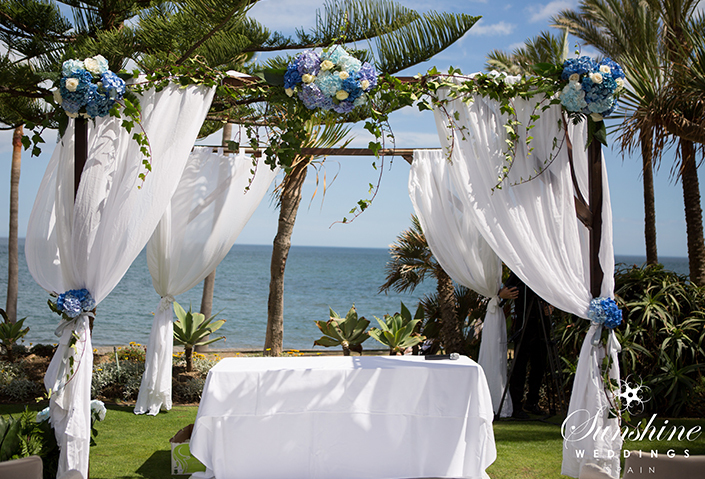 We had zero stress in the months leading up to the wedding thanks to the lovely Pam. She was brilliant to work with and never missed a detail. I had a lot of ideas for the day and nothing phased her, anything was possible. Scott is on the ball when it comes to the running of the day, he has his schedule down to a tee (we thought it was very optimistic for the day) but the day ran so smoothly from start to finish. 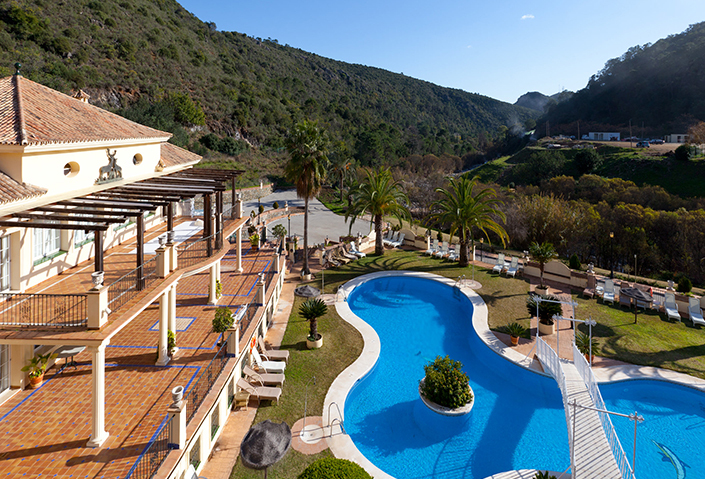 From the moment we woke up it was a lovely calm atmosphere and that carried throughout the day. 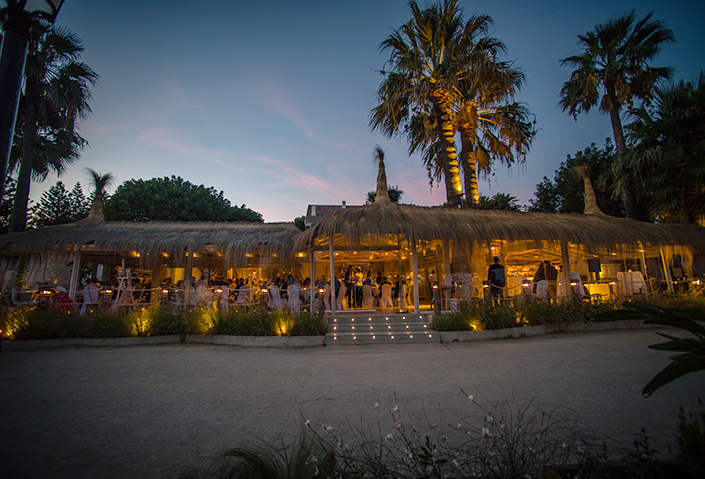 The suppliers that Pam had suggested to us couldn’t have been better, Padre Peter, Issy, Jasper, Inma, Verity and the band. 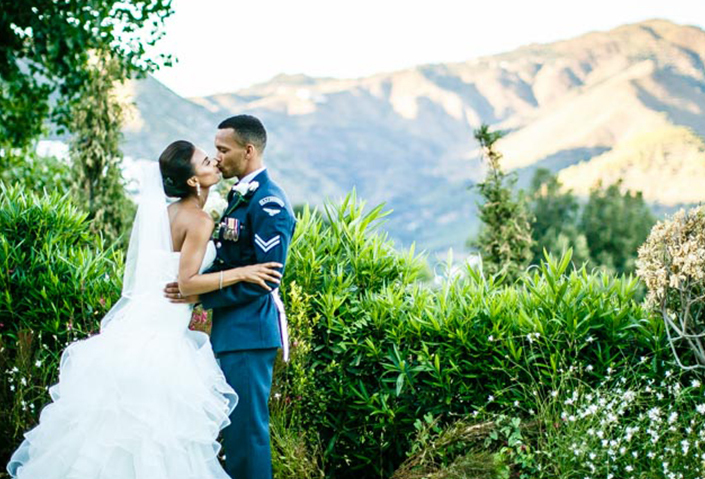 They all made our day so so special and we can’t thank them enough. 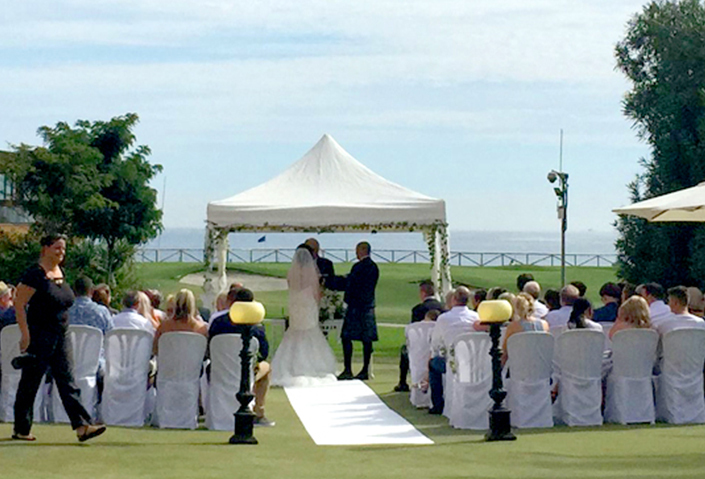 After hundreds of emails, 2 trips to Nerja and the support of Pam through it all we were rewarded with the wedding of our dreams.